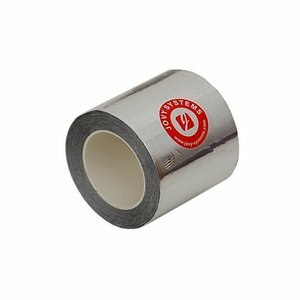 Jovy Systems JV-R010 is an acrylic adhesive tape featuring foil film with high adhesion designed to protect selected areas and components from infrared rays and excessive heating. Jovy Systems JV-R010 thermal reflective tape is acting like a barrier to UV and moisture for the electronic components. JV-R010 is recommended for small and large PCB applications which include lead-free solder (mobile phone PCBs, game consoles and computer PCBs), especially when the target component is enclosed with additional components or plastic parts (camera module, connector or socket).